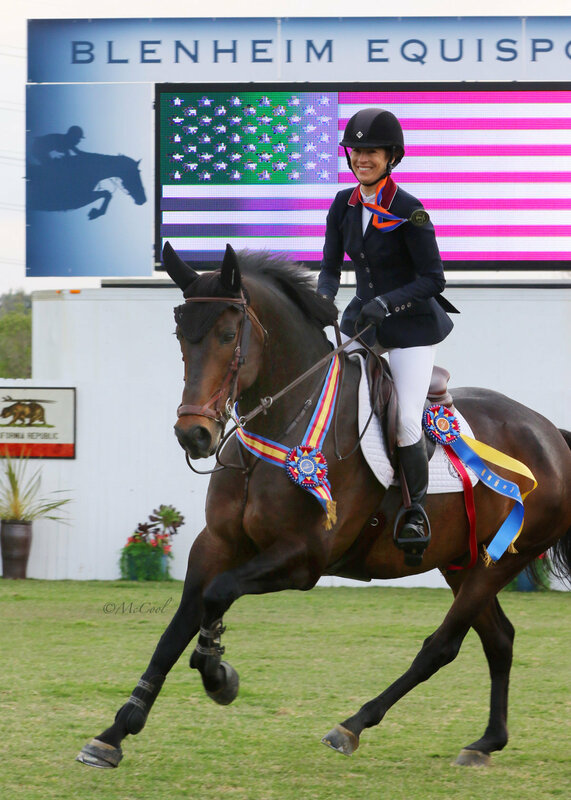 USEF Equestrian Horse of the Year Awards Program: Emerge as USEF year-end National Champion by earning valuable points at the twenty shows offered by Blenheim EquiSports. USHJA Zone Horse of the Year Awards Program & Zone Jumper Championships: Governed by the USHJA, the year-end awards program recognizes the top horses & riders by ZONE; the Zone Jumper Championships & Platinum Jumper Championships provide interested riders both team and individual competition. Blenheim EquiSports events provides points for Zone 9 & 10 competitors. Longines FEI Jumping World Cup Las Vegas: Show jumping thrills in Las Vegas! 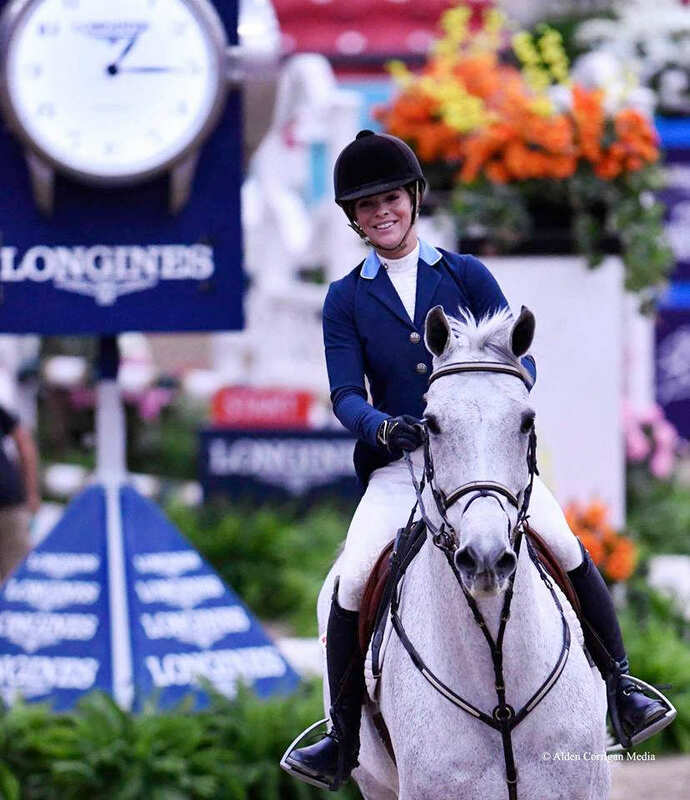 Held annually during The Las Vegas National each November; Nationally recognized as a leg in the Longines FEI Jumping World Cup™ North American League series, serving as a qualifier for the annual Longines FEI Jumping World Cup™ League Finals. AIM HIGH – GO FEI: Blenheim EquiSports is pleased to host FOUR FEI sanctioned jumping competitions throughout the 2019 season, offering tours at the 1.35m, 1.45m and 1.50m level. 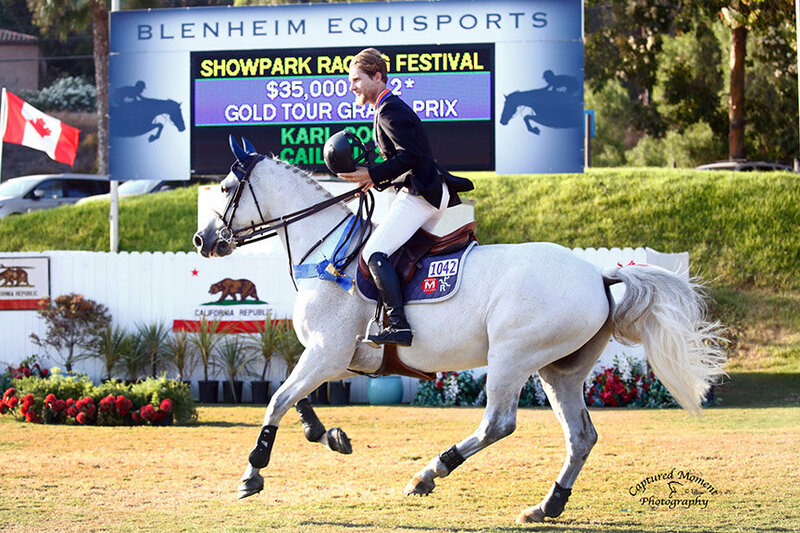 See the Blenheim Spring Classic II, Showpark Ranch & Coast Classic, Showpark Racing and August Festival, and The Las Vegas National prize lists for detailed information. Hollowbrook Wealth Management/Show Jumping Hall of Fame Junior/Amateur Owner Jumper Classic Series: Calling all Junior & Amateur Owner Jumper Riders – earn points in your respective 1.45m Jumper Classic and earn points to compete either at the National Horse Show, Lexington, KY in the Eastern League Final or at the Blenheim International Jumping Festival, San Juan Capistrano, CA in the $10,000 Western League Final – Series Champions also recognized. North American League (NAL) Children’s, Adult, and Junior-Amateur Jumper Finals: Earn a spot to either the Pennsylvania National Horse Show or Blenheim International Jumping Festival or BOTH for the NAL Children’s, Adult, or Low Junior/Amateur Jumper Finals by joining & competing in the NAL Jumper Finals program. Become a NAL member and accrue points as you compete throughout the season in your respective classic – each Blenheim EquiSports show earns you points towards these prestigious finals offered to the TOP 30 horse/rider combinations. USEF Pony Finals, presented by Collecting Gaits Farm: Every August thousands of pony riders and their mounts converge on the Kentucky Horse Park, Lexington, KY for the prestigious USEF Pony Finals, providing an opportunity for Junior pony riders to compete against their peers over multiple days of competition. A Team Jumper Championship and an Individual Jumper Championship will be offered. The Team Championship will be a modified Nation’s Cup format (two rounds on the same day), with Teams fielded by Zone. The Individual Championship will be a multi-round competition. Fence heights will be a maximum of 1.15m. For qualifying information click HERE. The Adequan/FEI North American Youth Championships: presented by Gotham North, this premier North American equestrian competition is open to children, junior and young riders, age 12-21. Young equestrians vie for team and individual FEI medals in the three Olympic equestrian disciplines of show jumping, dressage, eventing. The competition is run under rules of the FEI (Federation Equestre Internationale), the international governing body for equestrian sport, and is the only FEI championship held annually on this continent. 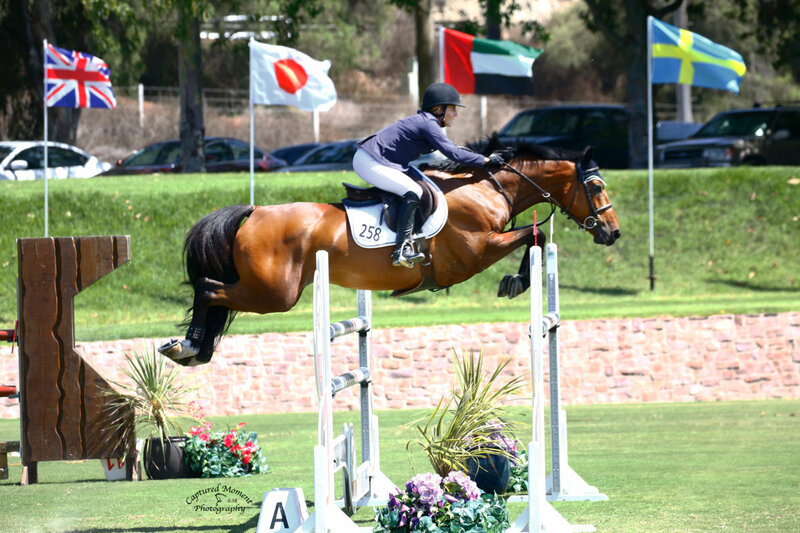 The FEI Jumping North American Youth Championship provides an exciting opportunity for riders in these age groups to compete against their peers in a Championship format similar to that of that of international senior Championships like the Olympic Games. Competition in each age category is held over the course of multiple days and features both a Team Competition, with Teams fielded by Zone, and an Individual Competition. For qualifying information click HERE. Blenheim EquiSports hosts a Zone 10 Junior & Young Rider Selection Trial during Blenheim Spring Classic II, March 27 – 31, 2019. USEF National Junior Jumper Championships: Held annually at the Pennsylvania National Horse Show, Harrisburg, PA as part of “Junior Weekend” this competition offers a Team Championship and an Individual Championship. The Team Championship will be based on a modified Nation’s Cup format and the Individual Championship will be a multi-round competition. Fence heights will be up to 1.45m. The following six Blenheim EquiSports horse shows are hosting qualifiers for the prestigious Washington International Horse Show Children’s & Adult Jumper Championships: Blenheim June Classic 1, 2, 3, Red/White/Blue, & Summer Classic – find out more info by visiting www.Ryegate.com for qualifying criteria.